Culinary Birds (Kobo eBook) | Copperfield’s Books Inc.
As an affordable, delicious, and nutritious protein, poultry is a staple of a modern global diet that transcends continents and cultures. Chicken Noodle Soup, Buffalo Wings, Duck à l'Orange, and Partridge Escabeche are just the beginning of a long list of exciting possibilities. From the most popular birds-chicken and turkey-to small birds like quail, pheasant, and squab, Culinary Birds offers more than 170 savory ways to enjoy poultry. With all the options out there, choosing the healthiest, most flavorful birds can be confusing. Because it is important to know where your bird comes from, Culinary Birds provides a brief history of poultry, the rise of factory farms, and the progression of the sustainability movement. 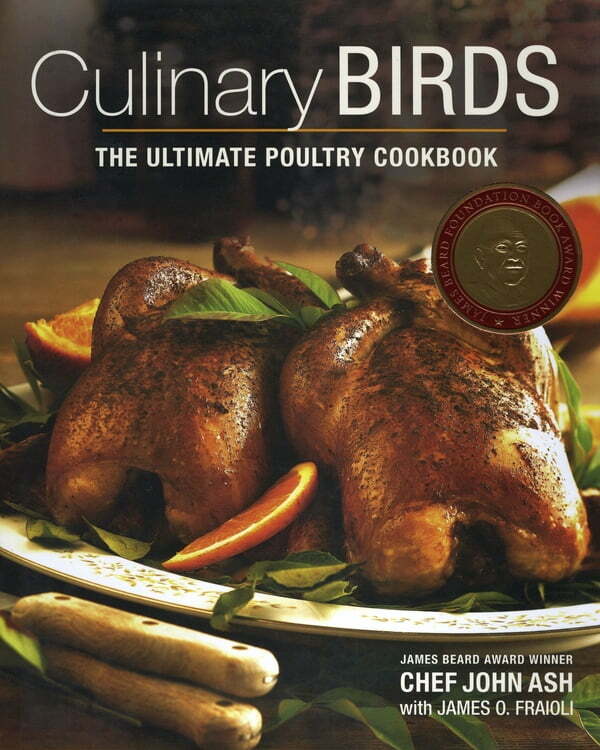 From "free range" to "pasture raised," from "air-chilled" to "water-chilled" award-winning chef John Ash and culinary author James Fraioli determine the "best" birds you can buy for your health and for your palate.